The New York Times(s NYT) is expanding its paid digital options with two new offerings: NYT Now, which is cheaper than a regular New York Times digital subscription, and Times Premier, which is more expensive. Both will launch on April 2. NYT Now’s mobile apps includes native advertising, and we’ll also start seeing native ads on other Times products later this year. Let’s start with the cheap one: NYT Now is the entry-level product that I speculated about last year (and, uh, it includes none of the features I’d envisioned). It’s available on the web and as an iOS app for iPhone and iPod touch, and it will cost $8 every four weeks. (A regular New York Times digital subscription starts at $15 every four weeks for website and smartphone access and goes up to $35 if you want it on both a smartphone and tablet.) It offers a “curated selection” of content from the New York Times, including articles, videos, infographics and slideshows. It also aggregates some content from around the internet. “Paid Post units and branded content will begin appearing on NYT Now on April 2 and on The Times’s core news app for iPhone and iPod touch and mobile web site in the coming months. 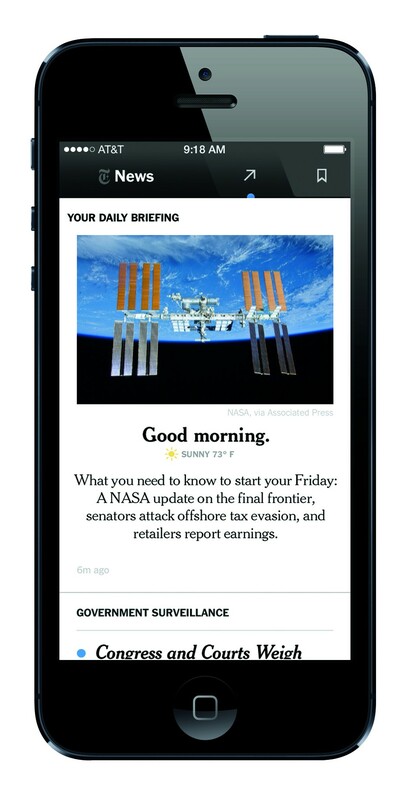 Paid Posts will become available on some of The Times’s other smartphone and tablet apps later this year. TimesTalks: Exclusive access to new and archived full-length online videos of Times journalists interviewing leading figures in the arts, politics and fashion. TBooks: Access to two free TBooks each month. TBooks are curated compilations of articles from The Times’s Archives, each on a single subject. TBooks are available for digital download to iOS, Android and Kindle devices, as well as desktops. Crosswords: A four-pack of themed puzzles each month, handpicked for Times Premier subscribers. Family access: The ability to share their Times Premier account with two additional family members. Gift subscriptions: The ability give a 12-week Times All Digital Access gift subscription to up to three friends each year. NYT Store: Access to The New York Times Store Premier Boutique, featuring exclusive discounts on NYT-branded merchandise. Other paid digital products are on the way: The NYT says that two more apps, “one focused on food, the other on opinion pieces,” will launch this summer.